The Creative Centre is an ongoing collaborative and community project and our actions and aims are based on sustainable principles and alternative methods. We want to regenerate and sustain our small village by making it into a possible and desirable place to settle – a place where you can have engaging jobs, enjoy culture, and the influx of new ideas and creative people. The Centre is meant to be a platform offering many different workshops and facilities where small initiatives can thrive and jobs can be created. We run an all year around Art Residency for most creative fields and we frequently host cultural events and concerts. Currently we are starting up workshops and study courses at the Centre. We also host a small fish processing company and the local fish market. The building, which counts 2800 m2, had suffered damages in the years that it stood vacant and was meant for demolition. It is safe to say that the renovation of this building is nothing but a massive undertake. The small group of the core team members along with volunteers and the good will of the local community has done nothing less than a miracle in these few years that have passed. The process of renovation and building up workshops and facilities is an ongoing progress. 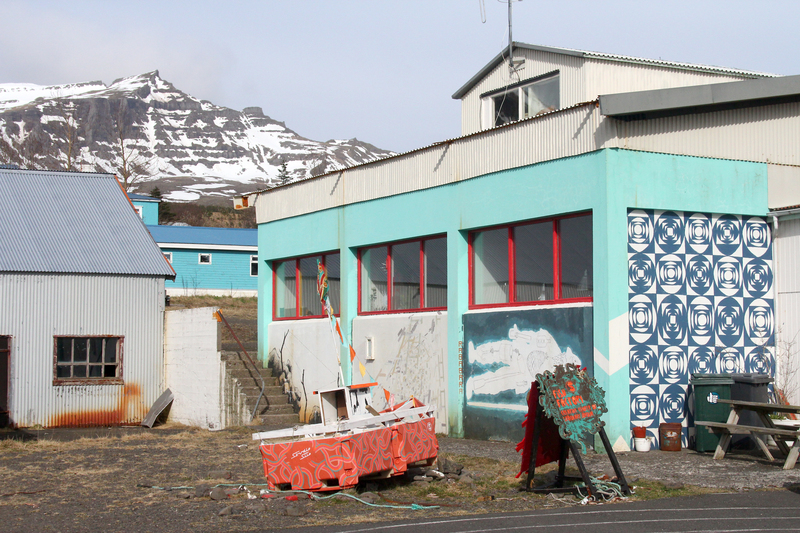 The Centre is situated in Stöðvarfjörður, a small and beautiful village faced with the disappointingly common problem of many small towns; unemployment, lack of opportunities and decline of population. 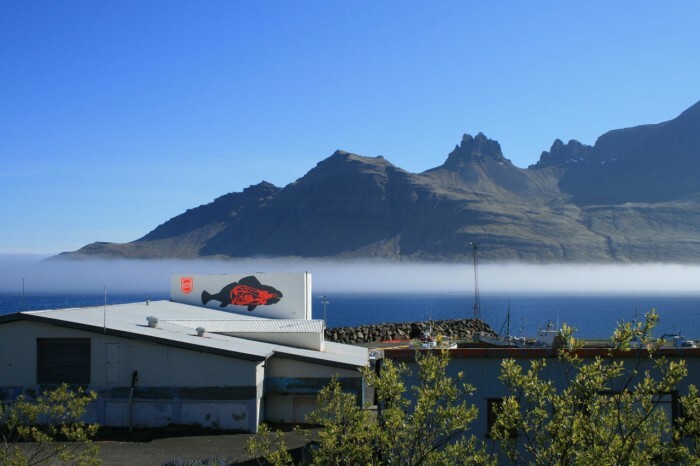 The Fish Factory of Stöðvarfjörður was once the heart of a thriving fishing industry, but when it closed in 2005, the village’s economy and population were hit. 32 employees lost their jobs, a large loss for a community of roughly 200 inhabitants. Other related jobs and workplaces closed down, the trawler Kambaröstin was sold away and the fishing quota disappeared, the bank and post office closed, the super marked closed and the nursery and elementary school are under an increasing threat of shutdown due to a significant decrease in the population. Further shutdowns of the social services could wipe Stöðvarfjörður off the map if it doesn’t sustain itself. These days back in 2005 were dark times, but the people of Stöðvarfjörður haven’t been willing to give up. Today this small society has found a way to thrive again, and multiple initiatives and small companies have been established in the town. With the Creative Centre we want to demonstrate the possibility of strengthening small, remote communities with creative initiatives, establishing jobs, and to be a source of inspiration for others alike. We believe that many small pillars and thriving culture are a strong way to ensure the livelihood of a society, and that it is as valid as a big industrial solution.